I made a joke that this past weekend I was going to break the internet!! 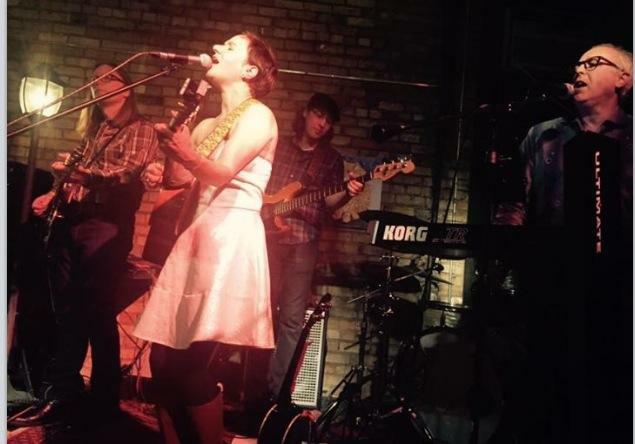 I was excited about the WCCO piece finally airing, my first full band show in a while (Previewing songs from the next CD) and also on a personal note, going to visit a cute puppy that I might adopt!! Thank you to everyone that said nice things, shared my WCCO story or came to my show. Kudos to those of you that did all three!!! A couple of years ago when I first sat down to wrote a bio for my website I didn’t even know what to say. I didn’t want to mention my parents death as it seemed too sad and self indulgent and attention seeking and whatever! Well, now it’s all out there for everyone to see and I finally feel really honest and less self conscious about it. I even just updated my bio!! That part of my life shaped me more than anything until I married and had kids of my own. Life threw some serious crap at me and I had to grow up very quickly and part of me felt broken for a very long time. In the last year I have taken steps to try to make peace with that and embrace the good things in life, of which I have plenty. Despite my recent bad health I am actually happier and healthier (mentally) than ever. Last month I was asked to participate in a video for DEMO MN. They are an amazing organization that have booked and supported artists in the Twin Cities for many years. I have been personally benefited by the support of Steve McClellan when I started playing out again after taking time off and then advised me and encouraged me on my CD release (Even if it wasn’t at a venue he worked with) to make me feel supported and informed. He takes the time to connect with an artist and make them feel welcome in a venue. He’s the only booker who’s ever brought me tea for my throat!! That caring and genuine concern runs throughout DEMO. They are not looking for the next fly by night trend or flavour of the month. They respect the musician and the this is reflected in the ‘Naked Songwriter’ series that I was lucky to be a part of. The depth of talent they are able to access in a series like that show the strength of the scene here that Steve has been an integral part of. I look forward to seeing there dreams come true. A place where people can learn instruments (not just kids, but anyone that needs to try something new and re-wire their brains musically) perform and gather. Music isn’t and shouldn’t be about selling beer. It should be about creating and sharing. This might sound pie in the sky, but if enough people support it then great things can happen. Please share this video and jump aboard. It’s going to be a fun ride! !